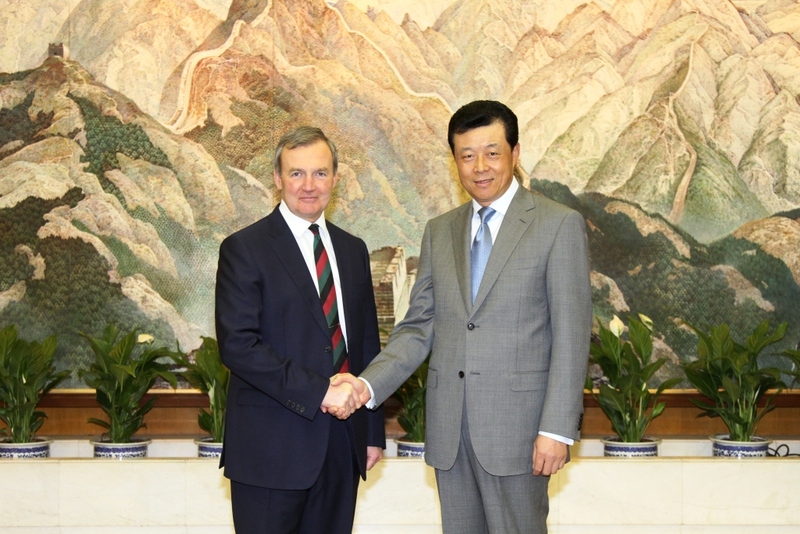 On April 8, Ambassador Liu Xiaoming met at the Embassy General Sir Nicholas Houghton, Vice Chief of the Defense Staff, and his party, who were about to visit China. Major General Zhang Jianguo, Defense Attaché of the Embassy attended the meeting. General Houghton said that China and the UK are both big countries with important global influence and share extensive common interests in the maintenance of international peace and stability, and that the British side attaches great importance to military exchanges with China. He is looking forward to visiting China for strategic defense consultations with the Chinese side, and believes that the visit will further enhance the exchanges and mutual trust between the two armed forces and the two countries. The two sides also exchanged views on the bilateral relationship and international issues of shared interest.